Budget 2019 delivered a mixed bag for the housing market, say property experts. While transfer duty and capital gains tax have remained unchanged, the introduction of a pilot subsidy programme for first-time buyers is encouraging, says Herschel Jawitz, CEO of Jawitz Properties. “While consumers will continue to face financial pressures as a result of the lack of tax relief, there should be no impact on an already subdued residential market,” said Jawitz. Dr Andrew Golding, chief executive of the Pam Golding Property group, echoed this view, saying funding for the upgrading of informal settlements, as well as the pilot project with R950m over three years to help first-time home buyers, made for welcome news. However, he noted, land expropriation was yet to be finalised and clarified. He also pointed out that Finance Minister Tito Mboweni had said there was a need to respond to rapid urbanisation by shifting from “horizontal” development to “vertical” development (building “upwards”) as part of an integrated development plan. “This would suggest that government incentives may reinforce the shift towards the construction of more sectional title homes a trend already evident in many of the countrys major metro housing markets,” commented Golding. Like Jawitz, he would have liked to see a reduction in transfer duties, which he believes would have stimulated property transactions across the board. “We also hoped for budget policies and incentives to promote eco-friendly building incentives, and budget incentives to enable quick and cost-effective building solutions to stimulate the lower end of the market,” said Golding. Gerhard Kotz, MD of the RealNet estate agency group, agrees that SA can look forward to many more high-rise housing developments in and around its major metros as part of government’s integrated strategy to prepare for the future, and provide affordable accommodation for a rapidly urbanising population. Mike Greeff, CEO of Greeff Christies International Real Estate, believes the property industry can expect to see significant growth as first-time homeowners will take full advantage of the grant announced. Dr Christoph Nieuwoudt, CEO of FNB Consumer, said while government has made some inroads addressing the demand for affordable housing, the supply of well-located, zoned and serviced land, with suitable top structures and acceptable amenities, continues to lag behind the fast-growing demand. Additionally, he says, there is lingering lack of access to a fully functional mortgage market for low income earners, with “prohibitive” home loan credit rating criteria. There are also massive backlogs in many deeds transfer offices, he says. These factors are lingering barriers to property ownership as a stepping stone to poverty alleviation, he argues. In the view of regional director and CEO of RE/MAX of Southern Africa, Adrian Goslett, more could have been done in Budget 2019 to stimulate the property market. Like Jawitz, he was disappointed by the lack of relief measures. “There were no mentions of any changes in transfer duty rates and capital gains tax a drop in these figures would have translated into higher returns for property investors which could have stimulated the market and encouraged economic growth,” said Goslett. Samuel Seeff, chair of the Seeff Property Group, said that, while he is disappointed that there has been no relief for the property sector or for consumers, the Budget was largely as expected by the market. 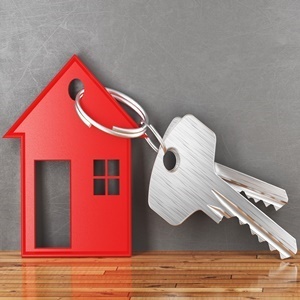 “The property market has had to absorb the effects of higher taxes along with cost hikes in recent years which has manifested in lower transaction volumes and the value of transactions in the upper price bands,” said Seeff. In his view, those people who “need to buy or sell” – largely in the sector below R1.5m and up to R3m in some areas – will continue to transact in line with their needs. “The favourable interest and bank lending climate means you can sell within a reasonable timeframe in this sector,” said Seeff. In Seeff’s view, the subdued price growth and positive lending landscape mean that, if you are looking to find a good buying opportunity, then you may well find it in the market. “Although it may be riskier now, you could ultimately see greater return,” said Seeff.